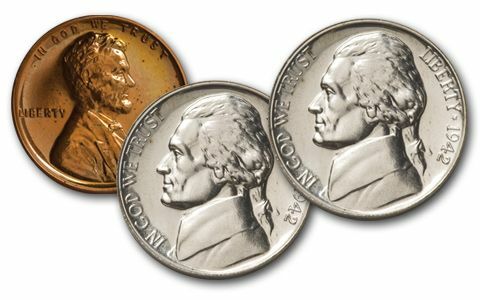 As 1942 progressed, and the U.S. war juggernaut leapt into action, an unusual fact quickly became abundantly clear: Nickel had become more valuable than silver! Its use in war production was critical, and supplies of the once-lowly metal were running short. As a result, the mint stopped striking it into nickels, and replaced it with silver. The new "War Nickels" had a huge mintmark above Monticello to make it easy to spot the silver coins. 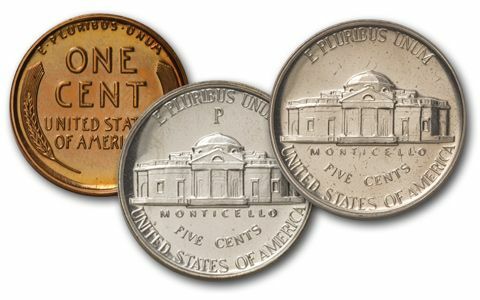 In 1942, the mint struck 2 different proof sets: one with the nickel coin, and one with both the nickel and silver coins. Of course, each also had a cent, a silver dime, quarter and half. 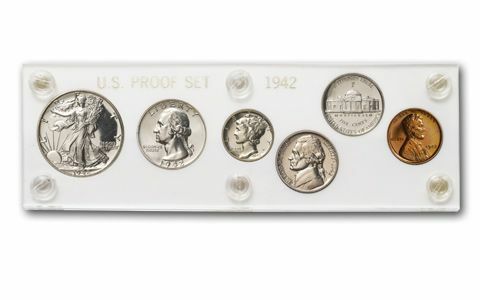 Here's your chance to get this historic two-nickel set housed in a hard plastic holder for protection. Don't miss this historic 1942 Two Nickel Proof Set!